An ancient practice called divination may be useful today in a new way. Divination was the act of seeking counsel through a human mediator to the spiritual realm. Shamans, priestesses, initiates of the mystery schools in the Aegean, were all considered diviners. We moderns sometimes refer to this spiritual realm, the invisible force behind all visible life, as the collective unconscious, a place where the gods and goddesses, our unrealized gifts and biggest demons all co-mingle. Divination is a form of deep personal inquiry – a realm of experience where the senses open wide, time hovers in suspension, and the soul is brushed by a mysterious Something that offers knowledge or direction. Our larger, more realized self comes into being through our awareness of it. Divination is a process in which we enter this landscape of holism. We must invite that Something to come to us. How? One way is to consult an oracle. Oracles have existed since the dawn of time. There was the Delphi Oracle in Greece, Akashwani in ancient Hindi India, the Agbala Awka oracle of Africa, and the Dalai Lama is said to consult the Nechung Oracle, which is the official state oracle of the government of Tibet. 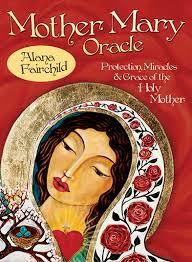 Most of us do not have access to a highly qualified and vetted oracle. If you are reluctant or fearful that you will end up with a charlatan willing to take your cash and common sense and send you on a wild goose chase, then don’t go there. Consider using another form of divination, a symbol system created for the purposes of entering oracular space like the Tarot, Runes, or I-Ching. Here is one of my favorite decks.